DESERT PRINCE (IRE) (1995). 5 wins-1 at 2, Irish Two Thousand Guineas, Gr.1. 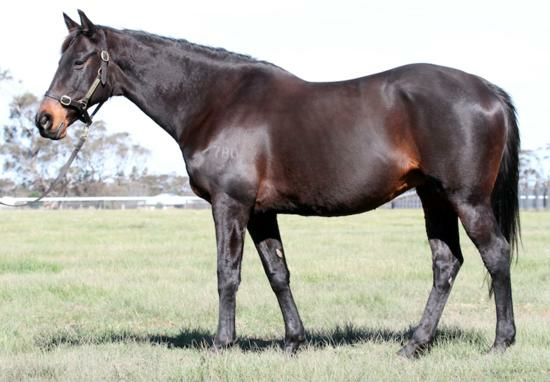 Sire of 1125 rnrs, 716 wnrs, 40 SW, inc. Outback Prince (QTC TJ Smith Classic, Gr.1), Kusi, etc. Sire of the dams of SW Alfred Nobel, All Legal, Fanunalter, Anton en Avant, Stirling Grove, Sundance, Bokan, New Alliance, Elbereth, Landym, Havana Beat, Three Sea Captains, Marina Piccola, Imperial Guest, Jambalaya, Pocket Diary, SP Queen of Time, Megawatt, etc. GLORIOUS DAYS (g. by Hussonet). 8 wins from 1200m to 1600m, NZ$6,250, HK$32,895,000 in NZ and HK, Longines Hong Kong Mile, Gr.1, HKJC Jockey Club Mile, Gr.2, Stewards' Cup, L, Chinese New Year Cup, Midland Holdings Cup, Hoi Ping H., Chevalier Construction H., 2d HKJC BMW Champions Mile, Gr.1, Longines Hong Kong Mile, Gr.1, Queen's Silver Jubilee Cup, L, Chairman's Trophy, L, Oriental Watch Sha Tin Trophy, L, 3d HKJC Queen's Silver Jubilee Cup, L, 4th HKJC Champions Mile, Gr.1-twice. BANGALORE BULLET - BRIGHT STAR (H.K.) (g. by Hussonet). 6 wins to 1400m, NZ$67,725, HK$2,483,050, Otago RC Dunedin Guineas, L, Gore Guineas, L, HKJC Hung To H., Stubbs H., Geranium H., 2d Otago RC TL Maclean Guineas Prelude, HKJC Macau-Taipa Bridge H., Mount Parker H., Lung Mun Road H., 3d CJC Canterbury Racing Guineas Trial. Spurrendous (Shamardal). Winner at 2, ATC Merran Wiggins Travelmanagers 2YO H., 3d ATC Reisling S., Gr.2. Purcentage (Onemorenomore). Winner at 2, 2d Waikato RC Waikato Farmers Markets H., 3d Levin RC Ryder S., L, Waikato RC Farmers Market at Te Rapa H., 4th CJC Canterbury S., L.
Champing. 5 wins to 1200m, ATC Royal Randwick on Twitter H., 2d ATC Warwick Farm 100 Club H.
Remember the Name. 3 wins from 1400m to 1600m, A$271,400, in 2017-18, VRC Macedon & Goldfields H., Bruce Gadsden H., 3d MRC VOBIS Gold Reef, 4th VRC Anzac Day S., L.
Londaro. 2 wins at 1600m in 2017-18, Hawkes Bay Stella Artois H.
Living Choice. 4 wins from 1200m to 1600m, A$102,385, to 2018-19, 2d ATC TAB Rewards H., 3d ATC TAB Rewards H.
Centabeel. 12 wins from 1200m to 1700m, A$124,725 in Aust. Thousand Wishes. Winner at 1350m in 2018-19, 4th VRC Edward Manifold S., Gr.2. Sky Idea (g. by Fastnet Rock). 3 wins at 1400m, 2000m, Waikato RC Matt Cameron Premiership Winner H., 3d ARC Ecochill H., Waikato RC Kaurimoor Farms H.
Favoured Saint (f. by Favorite Trick). 2 wins at 1100m, 1150m, AJC Sydney City Lexus H.
Triple Figures (g. by Flying Spur). Winner at 1200m in Aust. Centarabian (g. by Desert Prince). Winner at 1400m in Aust. Regency Bo Bo. 5 wins at 1200m, 1400m, HK$7,008,525, to 2018-19, HKJC Lukfook Gold Charisma Collection H., Washington DC H., Topaz H., Hakka Spirit H.
Okoto. Winner at 1600m in 2017-18 in NZ. Areion. 3 wins at 1300m, 1400m, QTC Todwana H.
KILDARE (O'Reilly). 4 wins at 1000m, 1400m, NZ$5,000, HK$3,112,550 in NZ and HK, HKJC Chow Tai Fook Bauhinia Sprint Trophy, L, Tai Mo Shan H., Beijing Clubhouse H., 3d HKJC Cheung Hong H.
Produce Record: Dam of eight named foals, five to race, three winners. 2006 g. ALL LEGAL, by Al Maher. 6 wins from 1300m to 1600m, A$596,430, ATC Villiers S., Gr.2, Hawkesbury RC Ladies Day Cup, L, AJC Schweppes H., City Tatt's RC Inglis Bonus 3YO H., AJC Sanders Noonan H., 2d AJC Inglis 2YO Classic, Schweppes H., ATC Meet Me at Bellevue Hotel After the Last H., 3d AJC South Pacific Classic, Gr.3, Hawkesbury Guineas, L, STC Golden Slipper Festival on Sale 2YO H., ATC Endeavour Recycled Clothing H.
2007 g. Hunting Spur, by Flying Spur. Unplaced. 2008 f. Azatorah, by Bradbury's Luck. 5 wins to 1300m in Aust. 2009 f. Wozniacki, by Bel Esprit. Unplaced. 2010 g. God's Shadow, by God's Own. 3 wins from 1600m to 1750m in Aust. 2011 f. Glorious Night, by Al Maher. Unraced. 2014 f. Dovetail, by Fastnet Rock. Unraced. 2015 g. Lenta, by Choisir. Unraced. 2016 c. by Not a Single Doubt. Missed in 2013; not served in 2011, 2016; no report in 2018.